How to Defend in FIFA 19 - What is the Best Defensive Formation to Use? You won't get very far in FIFA 19 without a solid defense. Unfortunately, it's easily the hardest thing to get good at in the game, especially seeing as the tackling and defending have once again been overhauled for this year's entry. Luckily for you, we've been playing a ton of FIFA 19, and have pulled together some essential defending tips and tricks. In this FIFA 19 Defending Guide, we'll detail how to defend and tackle in FIFA 19. 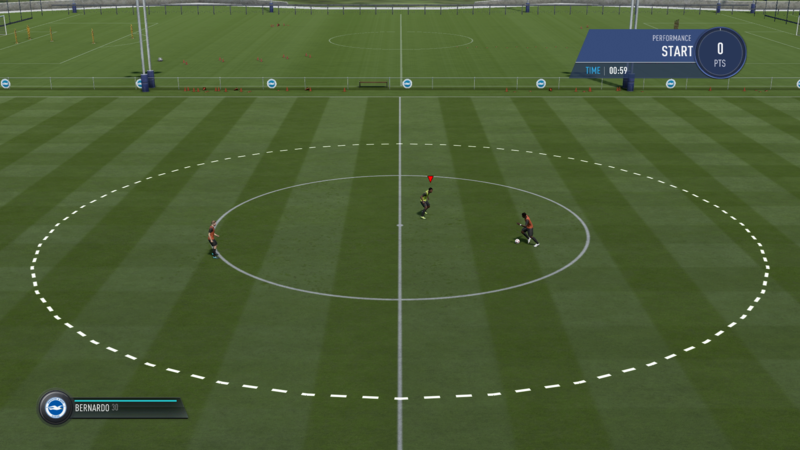 We'll take a look at the best defensive formation to use in FIFA 19, what the defending controls are, and how to defend crosses. For more on FIFA 19, be sure to check out our FIFA 19 Guides Hub. There, you’ll find all of our guides on FIFA 19 so far, including a look at the best young players, a detailed breakdown of skill moves, and more. Jockey - Remember to use your Jockey button to finesse your movement. To do this, hole LT or L2, and you’ll face the attacking player. In this stance, it is easy to side step and close down space. All you need to do is get close enough and then tap circle to win the ball back. Slide Tackles - While slide tackles have always been a risky move in FIFA games, they are incredibly useful in FIFA 19. As long as you do them at speed, and when you are close to a player, chances are you’ll win the ball. They’re a little OP at the moment , so take the chance while you can. 50/50 battles - This is the new tackling system introduced in FIFA 19. Basically, when you have the ball, hold L2 to shield against the opposing player. From this stance any attacks made against you will be judged via the new system, which weighs up each player’s defensive stats to determine the outcome. Use two defenders at once - While defending, you’ll notice a transparent icon above one of your other players, this is your second defender. Hold down R1, and that player will move to apply pressure, leaving you to block passing play. You can switch to the second defender at any time by hitting L1. Switch - Speaking of switching players, you’re going to want to get used to using the Right stick to switch between players. 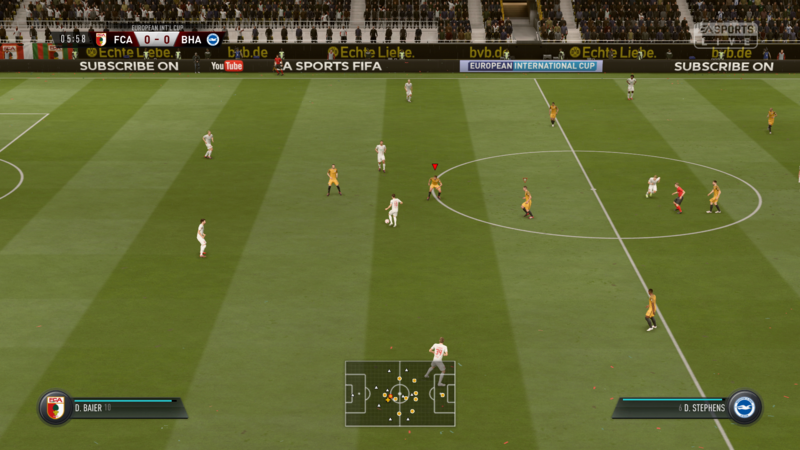 You can switch to almost every player on the field whereas with L1 it’s just the nearest player to you. Defensive Tactics - As part of the new Dynamic Tactics system, you can customize the tactics you use in game. While you’re in game, press down on the d-pad to access defensive tactics. Don’t sprint - Unless you are chasing a winger, there’s no need to sprint all the time. It’s harder to perform standing tackles at speed, and players can easily change direction leaving you defenseless. Learn when to tackle - You’re not going to want to be spamming the tackle button when defending, as it will lower your success rate. Instead, make sure you time your tackles when you’re sure you can get the ball, otherwise you’ll be left in the dust mid-animation. FIFA 19 features a new Dynamic Tactics screen that lets you customize and then switch up your formation on the fly. Because of this, there’s no longer one defensive formation to rule them all, as you can easily switch between Defensive and Ultra-defensive strategies. We’ve listed some of the ideal Defensive formations and tactics below, so that you can set your team up to defend effectively. There’s a brand new formation in FIFA 19 called 4-1-3-2. This is ideal for setting up your Ultra-Defensive Game plan, bringing a CM back slightly to help out with defense.In terms of defensive tactics, you’ll want to take a look at Drop Back, which preserves your team’s shape while moving everyone back to defend. Your strikers will be more passive, but defense will be rock-solid. In terms of Player Instructions, assign all defenders and CM with the Stay Back While Attacking instruction. For defensive Game Plan you can alter this to leave out the midfielders, though make sure your defenders are still staying back. For your Defensive Game Plan, we recommend you adopt the 4-3-3 Defensive formation. It’ll ensure plenty of support, especially if you set your corners and free kicks bars down to around 3, so that counter attacks can be quickly dealt with. In this 4-3-3 Formation, set Defensive tactics to Pressure on Heavy touch to ensure that enough players are back if the ball goes loose and ends up in the opposition’s possession. In terms of instructions, set Man MArk on your CDMs, and Stay Back While Attacking on all defenders. Crosses can be deadly in FIFA 19, if not defended correctly that is. Knowing how to stop an attacking play in its tracks is hugely important, and there's no one stop remedy for every type of cross you'll be encountering. We've listed some all-round good tips to keep in mind when defending crosses in FIFA 19. Stopping a through ball cross to a winger - When an opponent is advancing towards goal, a classic move will be one their wingers make a run up either wing to accept a through ball pass. Hold R1/RB to get a second defender to start moving towards the receiver, then switch to them using the right stick. You'll then want to start moving towards the corner flag, filling the space where the attacker is looking to run. This will prompt the player in possession to attempt a pass instead, which you can easily shut down. Winning headers - When an opponent is about to cross the ball into the area from the wing, make sure you have the player closest to the crosser selected, until the ball is whipped in. Hold R1/RB and have a defender inside the box start moving towards the receiver. Switch to this defender and press nothing, until the ball starts to dip towards the two players near where the cross will land. At this point, move the left stick in the direction that the ball is traveling, and hit the shoot button. Your defender will knock the ball behind, or clear it completely.